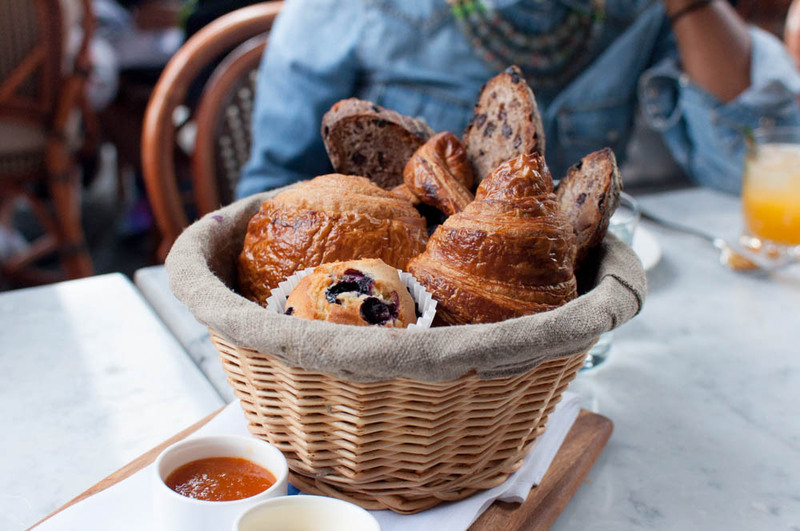 Followed by the boulangerie basket full of croissants and danishes for the table. Now onto the main event, a French take on the traditional eggs benedict. 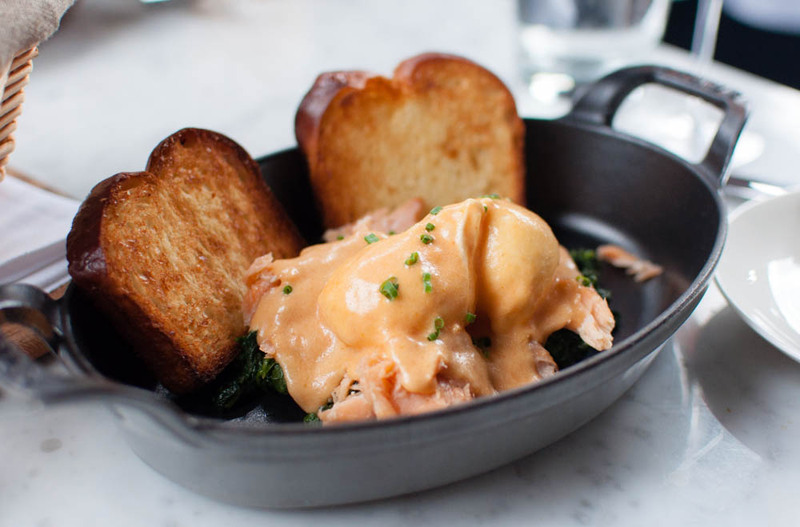 Poached eggs over welted spinach and smoked salmon were coated with a sauce choron, served with toasted brioche. 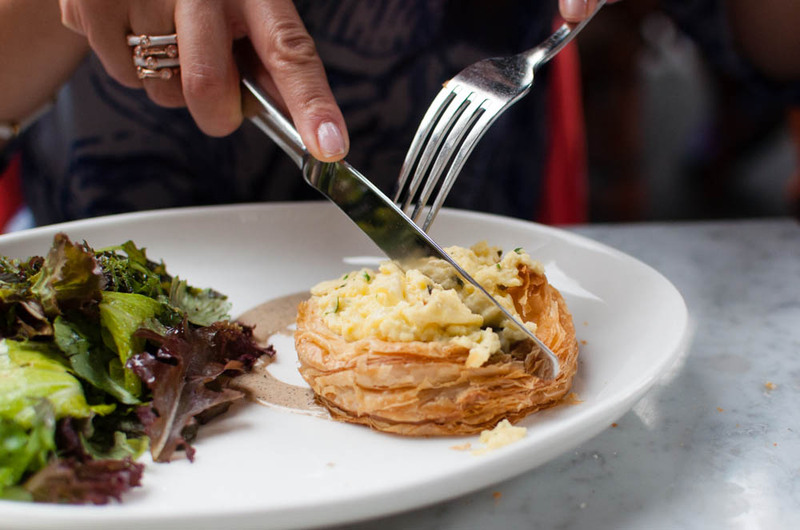 For something a little lighter, the soft scrambled eggs vol-au-vent with chèvre and leeks was kind of perfect. 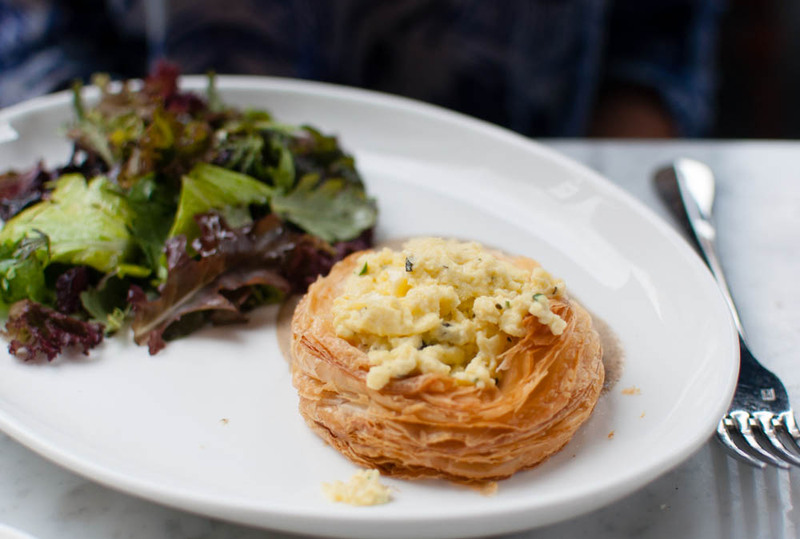 The unbelievably soft eggs were nestled in a flaky basket that shattered when you cut into it. 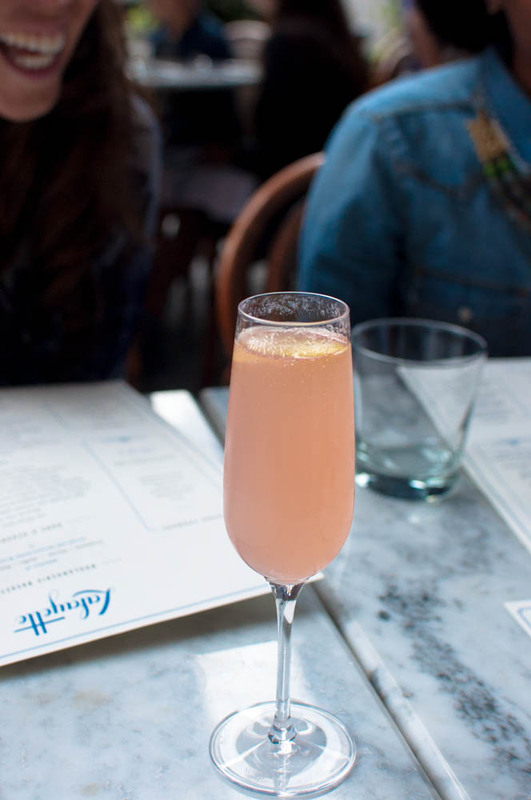 Just because it’s brunch doesn’t mean one has to stick with the usual suspects. 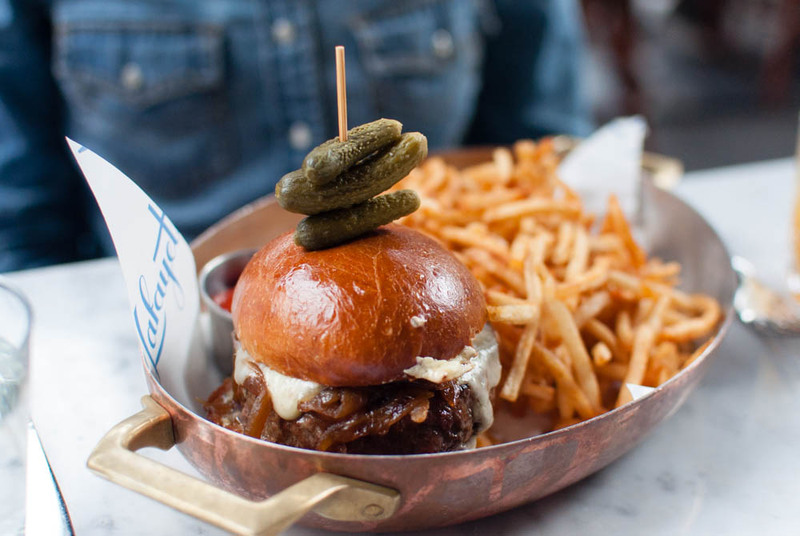 Why not be adventurous and order the brisket burger with caramelized onions and raclette? Just be aware that any fries that come with a meal will become communal property. Good thing that they are generous with the fries at Lafayette. 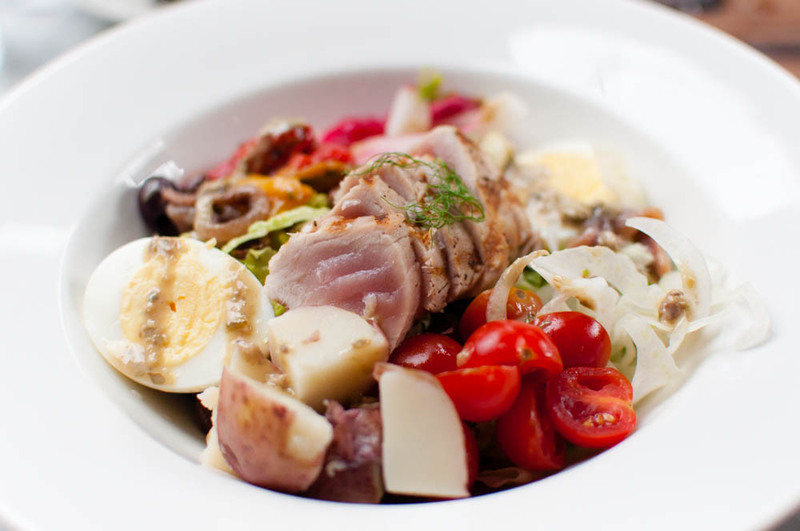 Or a simple tuna nicoise salad if you wanted something on the lighter side. I love that the salad comes with seared rare tuna instead of the canned variety – it’s the little things that can really elevate a dish. In good old French fashion, we lingered in our seats leisurely enjoying the comfortable weather long after we had finished with the food. What better way to spend a better half of the day?